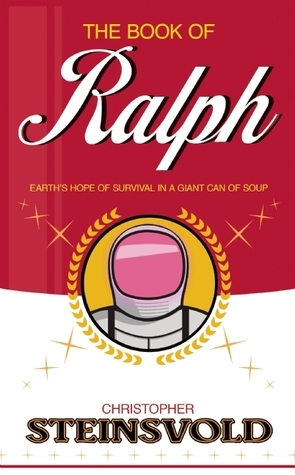 The Book of Ralph by Christopher Steinsvold is a highly recommended first contact story. When a message appears on the moon saying "Drink Diet Coke" and the Coca-Cola corporation denies all responsibility, Markus West is asked to help with the Congressional investigation into the lunar advertisement. Coca-Cola is found non-culpable for the ad, but the world is still a-buzz over the audacious ad. Markus is called back to help when, exactly a year later, a giant can of Campbell's Chicken Noodle Soup is floating above the front lawn and planning to land at the White House. After it lands, out of the can jumps someone in a space suit waving the American Flag to the Rocky theme song. While most Americans think the whole fiasco is another promotional stunt, this time perpetrated by the Campbell's Soup Company, the giant can is really a space ship and Ralph is an alien who is trying to arrive undercover and warn us of an impending invasion by malevolent extraterrestrials who wish us harm. Once ensconced away to a secret hiding place, Ralph freely shares some information about the evil aliens coming (from the planet Kardash.... which makes them Kardashians - one of the better bits of humor). During a large part of the plot Ralph shares his thoughts about a host of philosophical topics with Markus. And then the bad aliens arrive. The novel moves along quickly, with humor tucked into the narrative throughout, and most readers are going to keep reading during the less-than-exciting discussions in order to find out what happens when the Kardashians arrive to spread chaos. It's not that Ralph's philosophical discussions are tedious or boring, they are insightful, but when you are waiting for the bad guys, well, you tend to race through the slow stuff. The novel does take a dark turn once they do arrive. The writing is good and the narrative will hold your attention. There are several funny scenes and they will help you through the dark ones. At the end it did feel more like a vehicle for the author to share his thoughts and worldview with readers. I suppose that is the case with most novels, but it just felt much more obvious here, perhaps because it was set in a first contact sci-fi story. Don't necessarily allow that to stop you from reading because it is, on the whole, an enjoyable, thoughtful story and the evil aliens should give most readers pause in the way they try to cause chaos on Earth. Disclosure: My review copy was courtesy of Medallion Press.